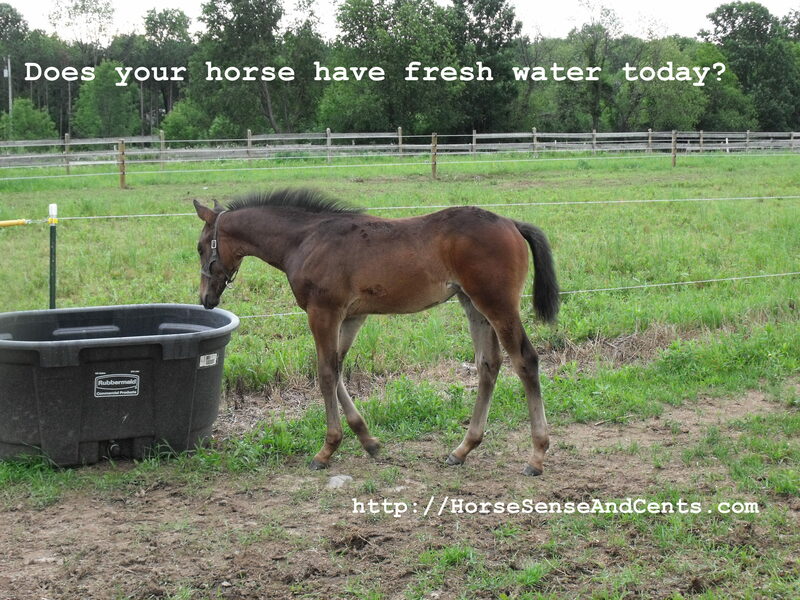 Periodically we offer horse care tips on the Horse Sense and Cents® blog. Paisley presented some good tips to get thinking about now it seems like winter might actually leave this year and summer may appear. 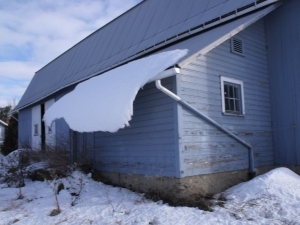 Chin up – no more chopping ice, climbing through drifts and skating to the barn – get ready for heat, flies and stagnant air but also warmth, good footing and beautiful sunshine. 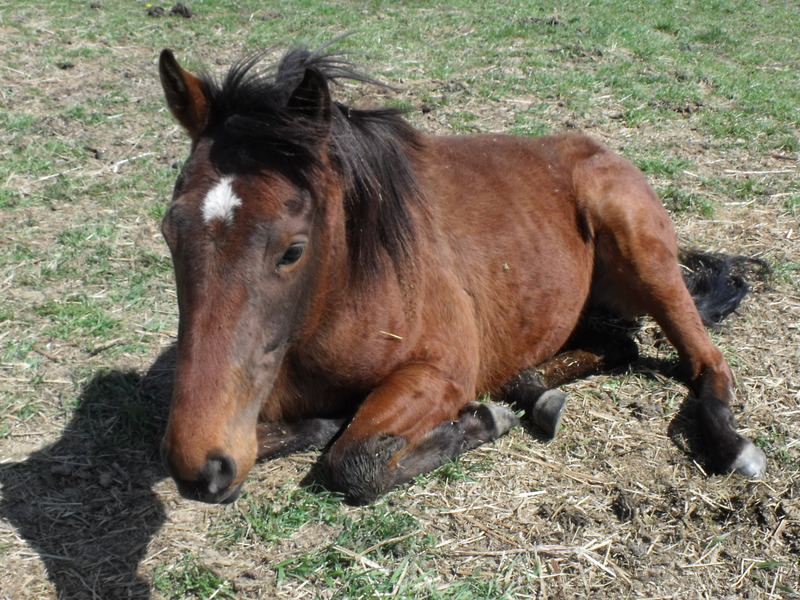 below Paisley offers her suggestions for keeping your horse comfortable and healthy as we move toward summer. This article is a guest post by Paisley Hansen. Anyone who has spent time around horses in the summer knows they get just as uncomfortable and miserable in the heat as their human counterparts do. More seriously, though, are the health risks associated with extreme heat. Dehydration and stress-induced diarrhea can lead to colic, perhaps one of the most serious health conditions in a horse. There are steps horse owners can take to alleviate the misery that comes along with the heat of summer. 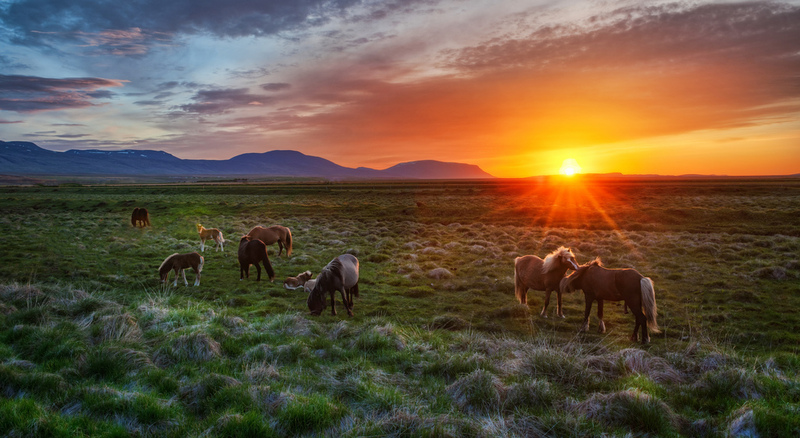 Turn your horse out during the cooler hours of the day. Overnight is the most ideal as the temperatures are either much cooler or more tolerable. 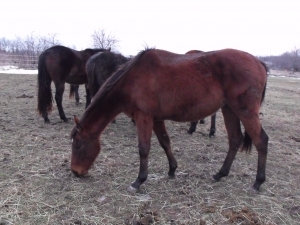 It also provides sufficient grazing time, allowing horses to maintain proper digestive health and also providing them with water in a time they may not be taking enough water in. 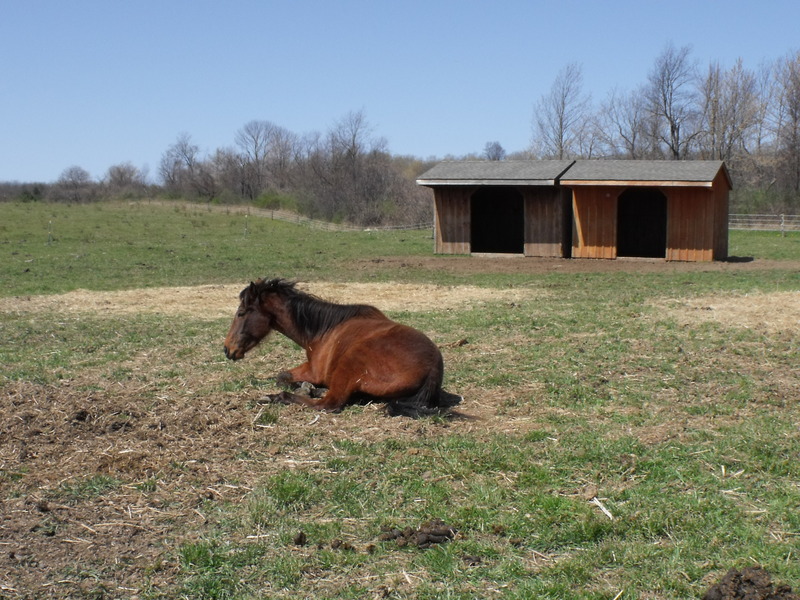 If your horse is permanently pastured, it’s essential to ensure she has proper access to shade. A run-in shed is the most ideal as it provides shade that doesn’t shift throughout the day, like shade thrown from a tree. If you have older, weaker, or less dominant herd members, make sure they aren’t being pushed away from the shade and being forced to stand in the hot sun. 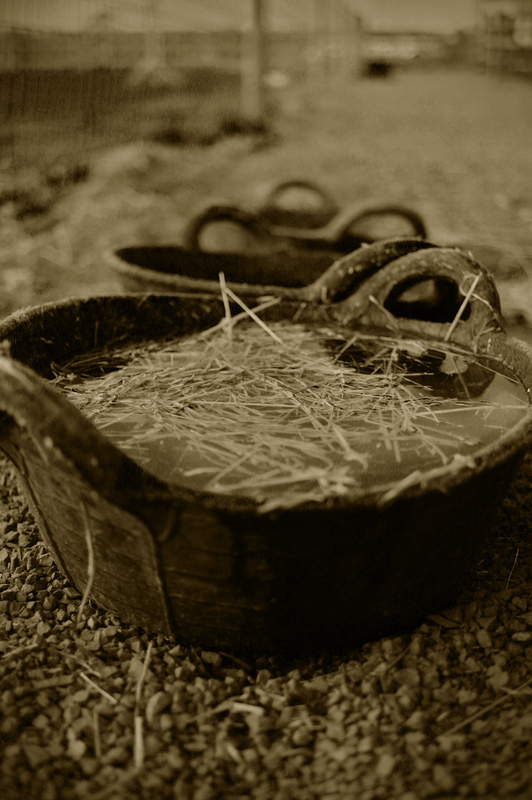 Unless you can refresh the water in a bucket throughout the day, avoid using them. 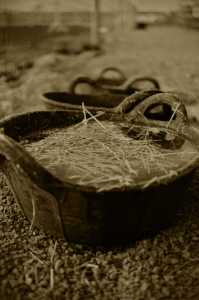 Bucket water easily becomes warm and stagnant, making it unappealing to a horse no matter how hot and thirsty they are. Investing in a fresh water system that circulates the water regularly or only fills when the horse triggers it is a wise investment if you live in especially hot climates. 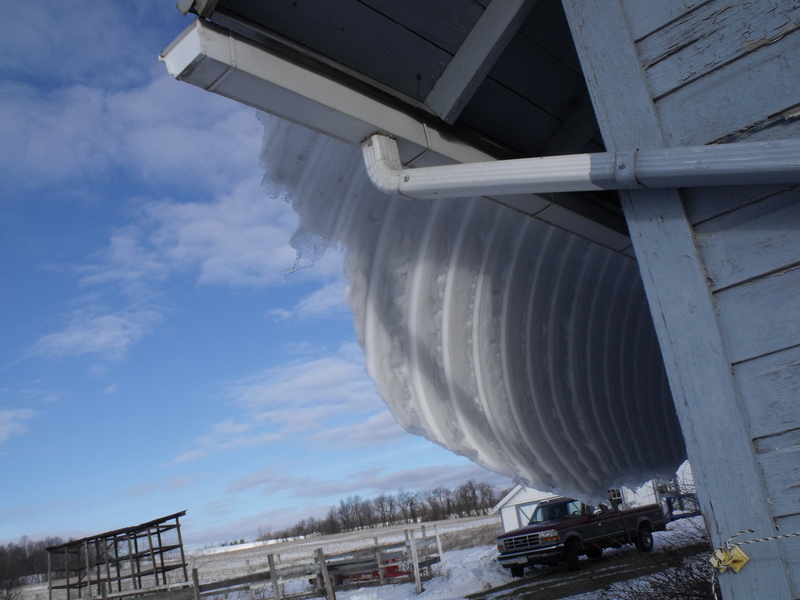 If it’s unavoidable to keep your horse in a stall than it’s incredibly important to provide him with circulating air. Stable fans are large enough to circulate enough air to keep the barn from becoming stagnant. Keep doors/windows open if possible to keep a breeze flowing through. Install barn door hardware to keep windows and doors open and prevent them from slamming shut with gusts of wind. If you can, install misting fans near each stall; a combination of moving air and moisture offers a quick cool off. Grass is the best feed of choice during hot weather as it has a higher water content than hay or grain. Horses’ bodies are designed to eat constantly and it’s this constant eating that provides their body with the energy to properly regulate their body temperature and help to naturally cool them off. 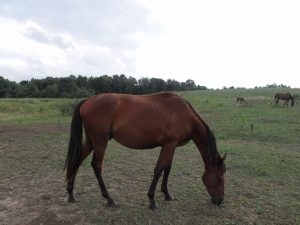 Summer coats are relatively thin, but like humans, some horses have thicker hair than others. If your horse gets worked regularly, then clipping their coat can help cool them off more quickly after a ride and help keep them cool when they’re turned out. Keep their mane and tail trimmed to reduce heat build up (every woman knows how miserable it is to have a heavy head of hair when it’s 90 degrees!). If your horse has pink skin, there are shampoos on the market with added sunscreen to help protect against sunburn. Apply sunscreen to the delicate skin on the nose, ears, and around the eyes if your horse is pink or light skinned. 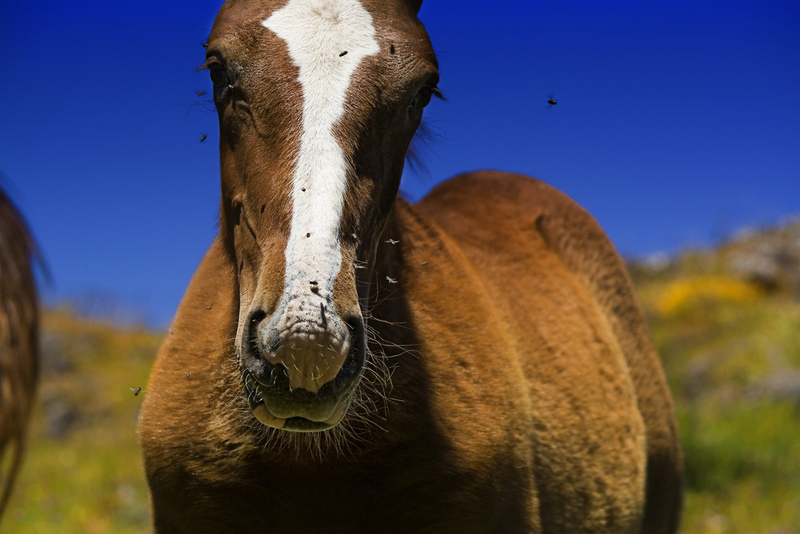 If a horse is constantly fighting the battle of the flies, they can waste precious energy they should otherwise be using to stay cool. Keep paddocks, stalls and run ins free of manure and install fly traps around the stable and around paddocks. Fly masks go a long ways towards protecting against flies while fly sheets are dual purposed in that they protect the body from insects and from the sun. Rotate fly sprays to be the most effective at warding off gnats, mosquitoes, and flies. It may seem like a lot of work to keep your horse cool but most of these horse care tips are already in place in a proper care routine of your equine. Regular vet care, high quality feed, electrolytes, and proper grooming go a long way towards ensuring your horse stays cool and comfortable and most importantly, healthy. Paisley Hansen is a freelance writer and expert in health, wellness, and animal care. When she isn’t writing she can usually be found reading a good book or playing with her Australian Shepard.